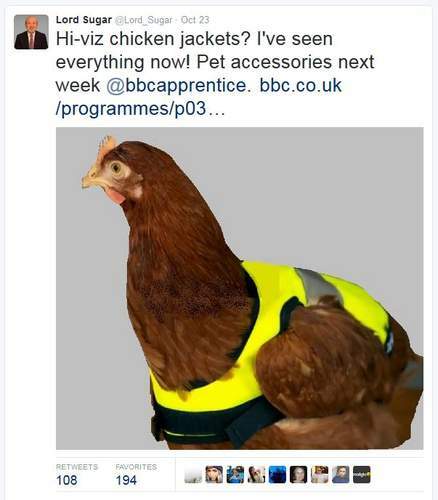 These products appeared in series 11 of “The Apprentice”. 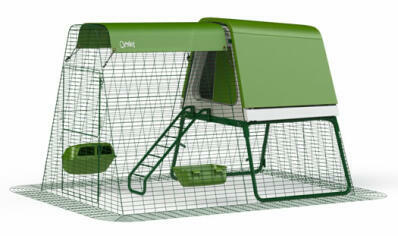 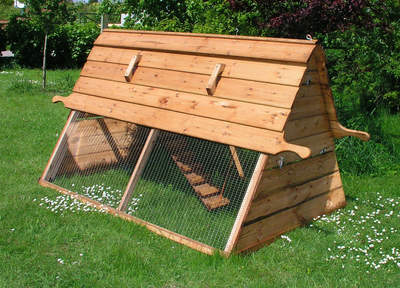 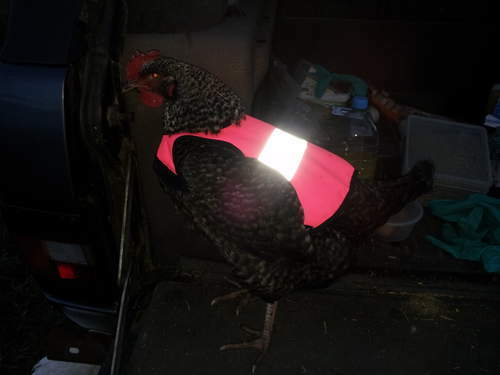 Worried about your chickens now that the cold, dark nights are drawing in? 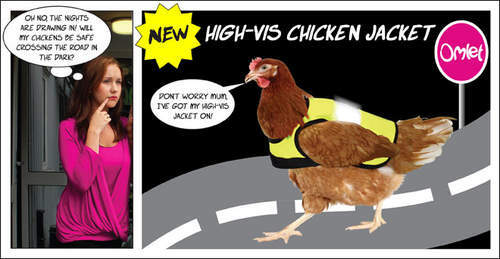 Don't panic, because the High-Vis Chicken Jacket has arrived. 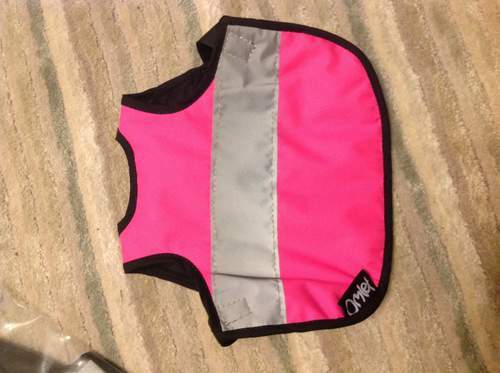 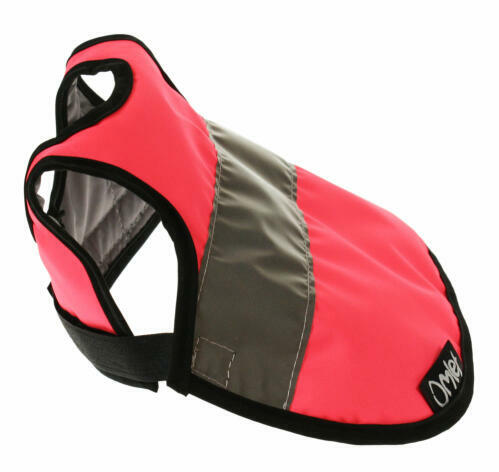 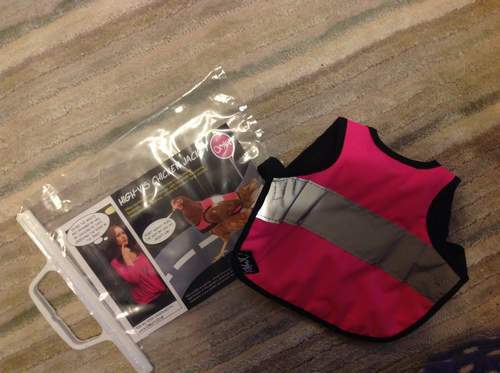 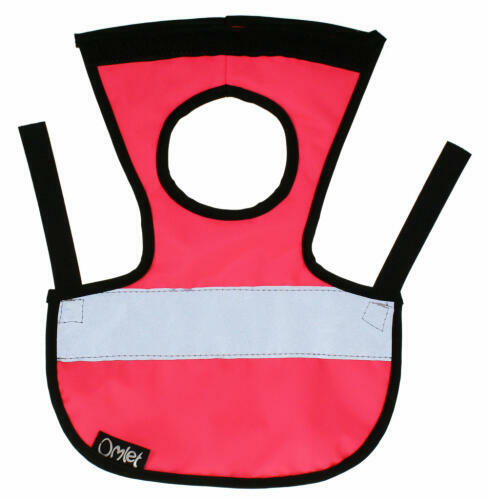 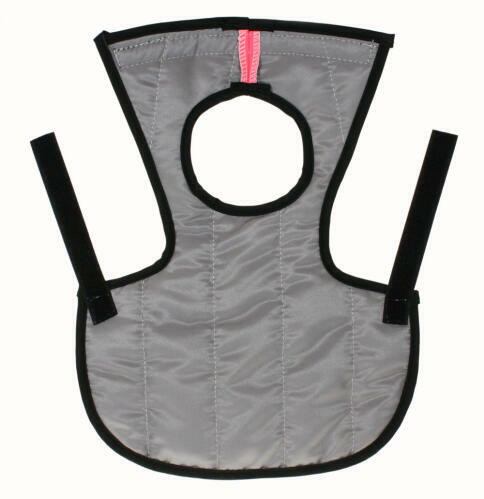 Available in two colours, pink and yellow, or as a twin-pack, this health and safety gilet will make your pets visible on the darkest days, while protecting them from the rain and sleet. 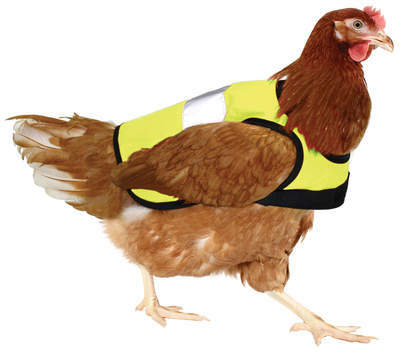 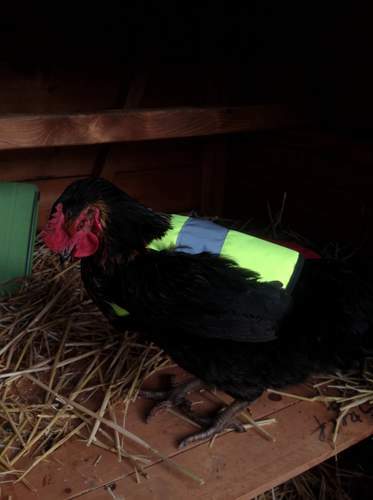 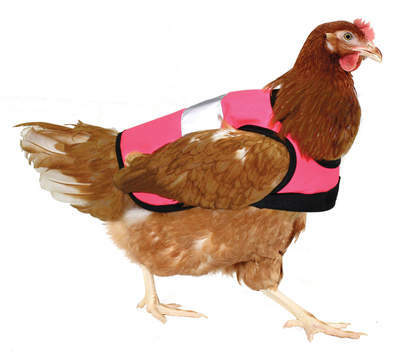 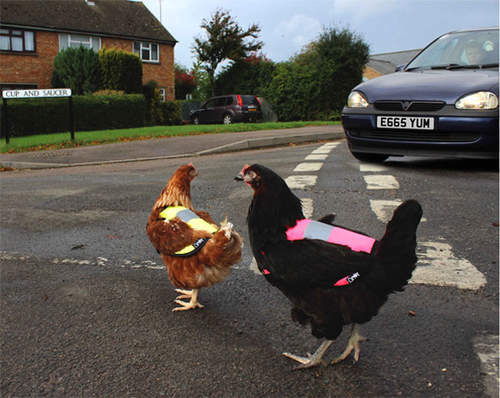 The High-Vis Chicken Jacket is easy to use. 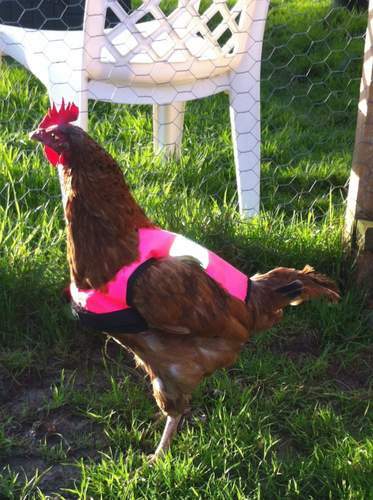 Just gently put your chicken's wings through the arm holes and fasten at the front. 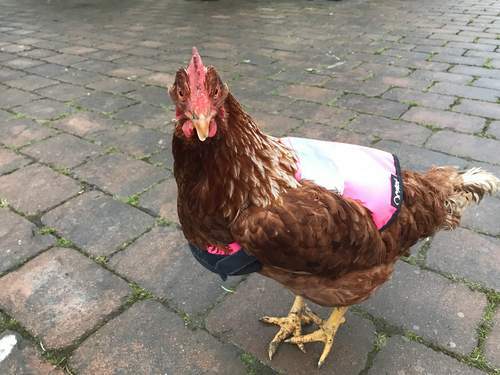 The velcro fastening is adjustable, allowing for the perfect fit so that your hen is comfy and the jacket contains an inner bodywarmer for insulation. 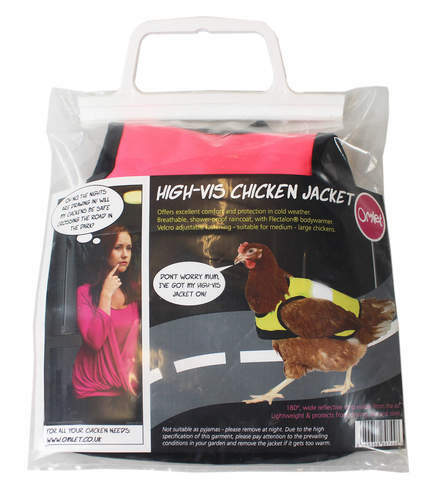 Due to the high specification of this garment, please pay attention to the prevailing conditions in your backyard and remove the jacket if it gets too warm. 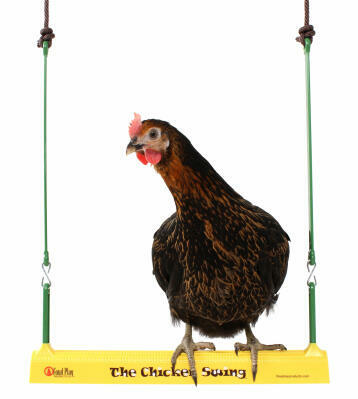 Super Christmas present for the girls. 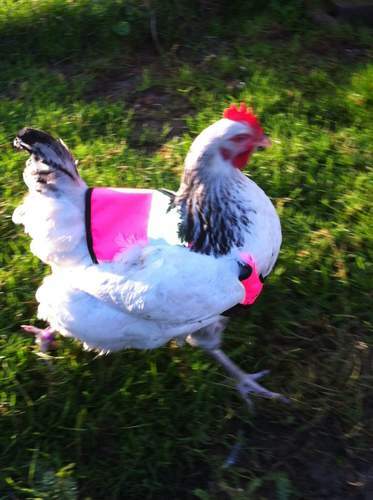 Love this, not so sure the chicken I bought it for does as well - but looks very good on her!